The market for scopes can be bewildering given all the choices, magnification ranges, aperture sizes, reticle styles, and features to choose from. Not all scopes are created equal and it is easy to fall for a well-marketed lemon. Follow our guide below to learn more about the best deer hunting scopes on the market today. A common rule of thumb is to spend as much on your scope as you spent on your rifle. Scopes don't depreciate as much as many other products, so investing in the best one you can afford is a good idea. Go for a well-established brand with a good reputation. Like it or not, the best scope makers are German companies. Practically all well-made scopes have a few key features indicating quality construction. They will be made of a single piece of high-grade aluminum tube which has been gas-purged to remove all moisture and O-ring sealed. Lenses will be multi-coated for brightness, clarity, and protection. A good scope will come with a good warranty. Scopes for hunting usually have capped turrets for adjusting windage and elevation. Turret features include locking and returning to zero after they have been sighted in. Reticle design is largely a matter of taste. The reticle should be clear at all magnification levels. Options include bullet drop compensation and hash marks for windage and range. In these reviews, we've done the grueling research so that you don't have to. Whatever your specific tastes and needs may be, we're sure that you will find what you're looking for in our list below. Bullet drop compensating reticle takes the guesswork out of long-range shots. Nikon is a titan in the optics field, not just for rifle scopes but in most other retail and specialized applications as well. The Buckmaster II is engineered specifically for mid-range deer hunting, though it also offers a large degree of versatility. With a 3-9x magnification range, this scope can reach out and touch something at long range, but also makes it easy to find a target at close range. For most shooters, this scope is a great mid-level choice that will make short business of almost any job you ask of it. The Buckmaster II is a scope with no frills or spurious gimmicks, just top quality lenses and coatings from one of the world's most respected optics makers. The eye relief is generous, preventing the scope from snagging on hats, glasses or other apparel. The BDC reticle includes aim points for various ranges, allowing you to hold dead on target at long distances. The top features of this scope are Nikon's reputation for lens quality, the warranty, and the BDC reticle. Users appreciate the positive action on the turrets. This is a great no-frills deer-hunting scope trusted by legions of hunters. It is definitely one of the best scopes on the market at this price point. In just under 20 years, Vortex has become a market leader in high value for money sighting options. Vortex has distinguished themselves with their industry-leading unlimited lifetime warranty policy, which takes much of the anxiety out of pulling the trigger, literally and figuratively. The Diamondback series comes in a wide variety of magnification ranges, giving you the option to select the best one for your usual shooting terrain and size of game. These start from a short-range 1.7-5x32 to a 4-12x40, which is more than sufficient for most longer-range work. A good moderate option is the 3.5-10x50 setup, which gives you two options for the reticle. You can get a classic V-plex (multiplex) crosshair or a bullet drop compensator (BDC), giving you clear dead-hold points at various longer ranges. The construction specifics are everything you've come to expect, a single-piece, O-ring sealed high-grade aluminum tube argon-purged to avoid fogging. The lenses are multicoated and no matter which magnification range you select, the optical lens diameter is ample for providing a bright sight picture. The greatest benefits of the Diamondback line are the excellent warranty and the wide selection of magnification ranges. 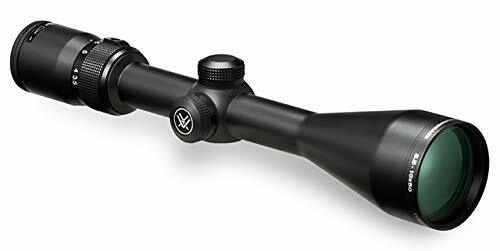 Vortex scopes are great value for money and their build quality ticks all the boxes. The 4-14x magnification range is perfect for long-range hunting but good at close and mid-ranges too. Primary Arms is based out of Texas and has been around since 2008. They have garnered an enviable reputation in a short period of time. This scope offers some of the best value for money out there. It features a first focal plane mil-dot reticle. The mil-dot distances remain true at all magnification levels. This design is used by the military forces of practically every country on Earth. It lets you find range and hold over without the need for a caliber-specific BDC reticle. Each dot is 0.25 MILs with one full MIL from the center of each dot to the next. Tactical-style exposed and marked windage and elevation turrets click to adjust at a value of 0.1 MIL per click. The adjustment range maxes out at 17.5 MIL. The turrets reset to zero. 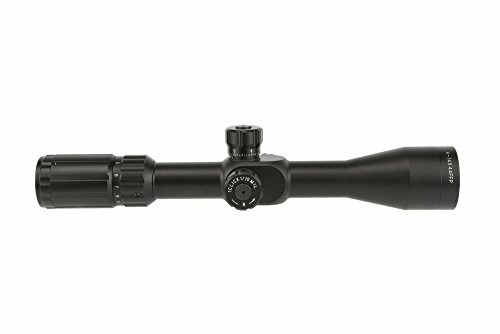 This scope features a side adjustable parallax from 15 yards up and a fast focus eyepiece to ensure a sharp view of the target and reticle. This is a 30mm diameter scope made of heavy-duty aircraft grade 6063 aluminum. It is, of course, shockproof, waterproof, and fog resistant. The 44m Objective lens provides good clarity and brightness. 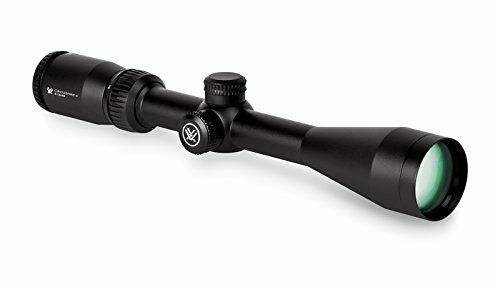 With its wide 4-14x magnification range, this is a great long-distance scope. It weighs in at 23.9 ounces and is covered by a three-year warranty. Eye relief is a bit short though. The top features of this sight are the mil-dot reticle and wide magnification range. UTG is part of Leapers, which has operated from Missouri for 27 years, carving out a comfortable place for itself in the firearms components world. This is another mil-dot reticle scope. It's most unusual feature is its 36-color illuminated reticle. This gives you unprecedented choice in increasing reticle contrast and is a godsend for color blind shooters. Color selection is made with a low-profile knob on the eyepiece. The ergonomic rubberized illumination control buttons are just behind it. The color selector includes a one-click memory feature to return to the color of your choice. There is also a separate classic dual red/green mode for quick use. Beyond that, the scope features tactical-style turrets that lock and return to zero. Windage and elevation can be adjusted with a positive and precise quarter MOA per click. Side parallax is adjustable from ten yards to infinity. An optional large parallax wheel is available separately. The scope includes an angled integrated sunshade and flip-open lens caps. The 30mm scope tube utilizes UTG's 'True Strength Platform", which is nitrogen purged, sealed, shockproof, fog-proof and rain-proof. UTG touts its emerald-coated lenses as best in class. The scope also features UTG's "Smart Spherical Structure" connecting the inner and outer tubes for strength and reliability. If you happen to be color blind, this is definitely the scope for you. Even if not, if you have ever been frustrated by the low contrast between your reticle and target, you will love this scope. The top features, besides the range of illumination colors, are the magnification range and the sunshade. Bushnell is a very popular American scope maker. This scope is a stiff competitor for the Nikon. How many times have you or your hunting buddies had a perfect shot in the low-light conditions of dusk or dawn, but didn't have enough light to acquire the target? These are the times when most trophy bucks are taken. This scope is designed so that low light conditions will never stop you from making the shot again. Like many of the scopes on our list, this scope is optimized for larger game. 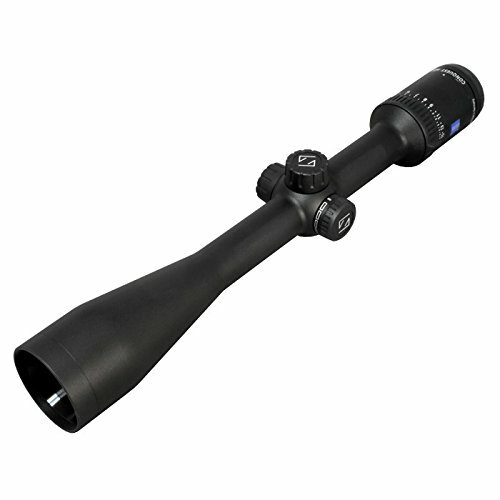 It features great mid-range all-purpose magnification ranges of either 4-12x with a 40m objective lens or 6-18x50mm. Either option offers excellent light absorption and brightness. The reticle is a no-nonsense Bushnell Multi-X giving you an uncluttered sight picture. Lens quality and construction quality are nothing to scoff at. 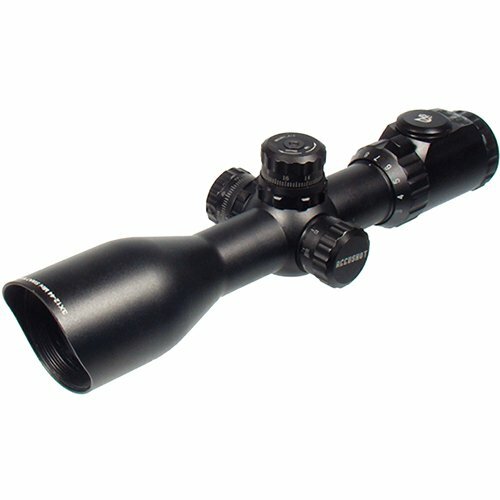 The scope features a one-piece nitrogen-filled tube and multi-coated optics. The perfect scope depends on your desired purpose and usual shooting conditions. If you are shooting a Savage, it means you value long range accuracy at a low price. This scope definitely provides the latter, while offering great versatility with a focus on the most typical hunting scenarios. Given the short eye relief, you wouldn't mount this on a magnum rifle, but it is perfect for a .243 or .308. Personally, I've always been completely satisfied with my Bushnell products. This is another great offering from Vortex, the wunderkind of the optics world. Unlike scopes, red dot sights have no magnification. This tradeoff brings various benefits, including zero parallax, unlimited eye relief, and both-eyes-open shooting for maximum situational awareness. This tube style red dot looks like a magnifying scope, but don't be fooled, this is a high-quality reflex sight. You can choose either an only red or a selectable red/green dot model. The sight has 10 brightness levels. Dot size is 4 MOA, relatively fine for a red dot sight. Windage and elevation are adjustable at half an MOA per click, with a maximum adjustment value of 100 MOA each. Another benefit of a red dot sight over a scope is the reduced size and weight. This unit is 30mm in diameter, but only 5.6 inches long and 7.2 ounces in weight. It comes with a cantilevered mount that places the point of aim at the lower third co-witness level if mounted on an AR-style rifle. It can be used with any other 30mm rings if you prefer a different height. Like a scope, this sight is nitrogen purged and O-ring sealed. This guarantees it to be shock-proof, waterproof, and fog-proof. The lenses are fully multi-coated for durability, reflection reduction, and greater light transmission. The sight uses a CR2 battery and is of course covered by Vortex's unlimited lifetime warranty. The top features of this red dot sight are the unlimited eye relief, no parallax, and both-eyes-open shooting. Vortex Optics of Wisconsin has been in operation since 2004. In that relatively short time, they have taken a huge bite out of the riflescope market, giving more established players a run for their money. The Crossfire II SFP is one of Vortex's more affordable scopes. Like the two above, it goes for that 3-9x magnification range that is ideal for mid- to long-range shooting with an AR-556. The center dot of the V-brite reticle is illuminated for lighting situations that call for greater contrast. Located on the second focal plane, the reticle always maintains the same appearance. 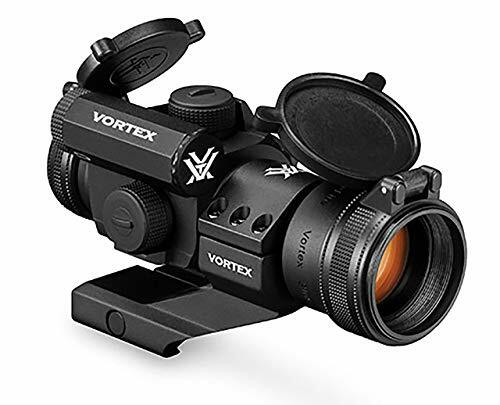 Vortex markets the scope as having long eye relief and a forgiving eye box, allowing you to gain a clear sight picture without having to hit the cheek weld just right. Not all shooters find this to be the case, however. Nevertheless, the fast focus eyepiece does give you convenient parallax correction. The windage and elevation turrets are capped for hunting, although the scope is considered dual use between hunting and tactical applications. The turrets reset to zero after sighting in and adjust one MOA per click. Construction is everything you would hope for. The lenses are fully multi-coated and anti-reflective. The single-piece aluminum tube is nitrogen purged and O-ring sealed. The build quality is covered by Vortex's unconditional lifetime warranty, one of the best in the business. This is another great budget scope. The best features are the illuminated reticle and the warranty. As noted above, Nikon is a giant in the global optics field. They make some excellent rifle scopes. Although the ProStaff is their entry-level lineup, they are incredibly popular with hunters. This is a solid all-around option for standard mid-range hunting conditions. It can work comfortably with everything from .243 to .30-06 for hunting in mixed terrain and can be pushed out for long-range use as well. The design and build quality feature everything you would expect from a quality scope. It has a one-piece, one-inch high-grade aluminum tube that is gas purged and O-ring sealed to make it waterproof and fog-proof. Lenses are multicoated for reflection reduction and 90% light transmission. The capped windage and elevation turrets give you a quarter MOA of adjustment per click and max out at 80 MOA. The reticle has a bullet drop compensation (BDC) design to help with accurate shooting at longer ranges. It comes in black matte or silver, to match a stainless rifle. It is covered by Nikon's full lifetime warranty. This is a good scope, especially if you need an affordable knock-around setup to throw in the back of the truck. The top features are the good all-purpose magnification range and the bullet drop compensating reticle. Few scope makers enjoy the reputation of America's own Leupold. Nothing inspires confidence and peace of mind in the field like that famous gold ring. This scope is perhaps the ideal all-rounder for average shooting conditions and mixed terrain. With a mid-range 3-9x magnification range, you may not be choosing which toenail to shoot off a gopher at a 1000 yards, but it will handle almost any realistic task. This is especially true given the wide 40mm objective lens which gives you excellent brightness. You will be thankful for this in those perfect hunting conditions around dusk and dawn. Of course, with Leupold, the build quality and turret operation are precise and beyond reproach. The company is known to offer longer than average eye relief, although this is probably not crucial with a mid-powered caliber. Nevertheless, you can be sure that this scope will stand up to abuse and hold zero as well as any. Leupold's duplex reticle is a classic unclutter design aiding in quick target acquisition. Buy once, cry once is a good rule to live by. With this Leupold, you may not even shed a tear given its great price point. The greatest advantage of this scope is its versatility; it can handle pretty much any realistic shooting task you throw at it. There is a good chance that it will out-live any rifle you mount it on. Now we're dealing with the serious top-shelf material. Founded in 1846, Zeiss is one of the best and oldest optics makers in the world. Zeiss has an interesting history, originally located in eastern Germany, the company split into both an eastern and western successor during the Cold War. This German-made scope features an unbeatable HD lens system with special T coatings for the absolute upper end in image quality. It features Zeiss' Rapid-Z 800 ballistic reticle which has numbered holdover lines out to 800 yards, making it perfect for long-range shooting. Long range shooting is of course aided by the high 3-15x magnification range. Zeiss markets this as the world's most advanced superzoom, and one thing is for sure, it is clear, bright and reliable. The Conquest HD5 has a sleek and attractive modern design with little clutter and little to snag on. It fits standard one-inch rings. Zeiss covers this scope with a 5-year no fault policy extended with a limited lifetime warranty. The only problem with a scope like this is that it's so nice that you may not want to risk taking it out into the woods. Try to get over that though, because this offering from Zeiss is made to be worked hard without batting an eyelash. The top features are the high-end zoom and reticle, which are perfect for long-range hunting. 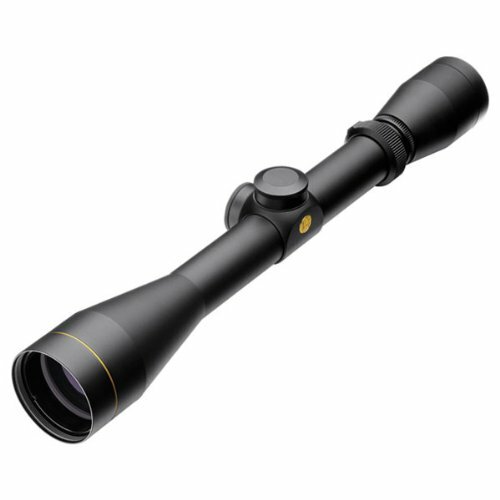 The ideal scope will depend on your hunting style and usual hunting environment. If you hunt on the expanse of the open prairies, you probably need as much magnification as you can get, probably with some kind of rangefinding reticle. A brush gun for thick woods probably doesn't need as much magnification, maybe a max of 9x or less. Dusk and dawn are often the best times to hunt. The low-light conditions mean that hunting is a lot easier using a scope with a larger objective lens, maybe up to 50mm. This is especially true in thick brush. In any environment with low contrast, including low light conditions, an illuminated reticle can come in very handy. This will help you make the most ethical shot right on the deer's vitals and prevent you from spending half the day following a blood trail. These days, few hunters pursue mid-sized to large game without a scope. A good optic can last a lifetime. They are also a godsend when a hunter's eyes start to age. No scope can do it all, but whatever your personal needs, one of the scopes above will fill them. Whichever you choose, we wish you happy hunting and shoot safely. The magnification range you need to hunt deer depends mainly on the terrain you usually hunt in. For mixed terrain or if you're not sure, 3-9x is a good starting point. For the open prairie, you probably want as much magnification as you can get, paired with a good long-range caliber. For thick brush, 1-4x is probably enough. There are a lot of variables besides range that determine what the best scope is. Nevertheless, for us, the Carl Zeiss Optical Conquest HD5 3-15x42 is hard to beat for long-range deer hunting. The overall quality is practically unsurpassed, the maximum magnification of 15x is quite high, and the objective lens is large enough for excellent brightness. 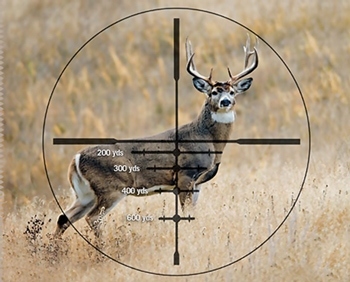 What Kind of Scope Do You Use For Deer Hunting? I use an old Leupold VX-1 3-9x40mm. It is a good all-rounder that we had on an old mountain goat hunting rifle. It's lightweight, so it's easy to pack through the bush all day. It has held up for many years, proving Leupold's reputation for quality and reliability. I'm one of those unusual people who prefer hunting deer with shotgun slugs, but when I'm out on the prairie for deer season, I'm completely satisfied with the Leupold's performance. Scopes vary in power/magnification, depth, range, clarity, glass quality, workmanship and capabilities. Then, just know, as guide Phil Schweik relates, that there are a figurative million different regulations on the use of a scope and they vary greatly. For instance, in Wisconsin, muzzleloader hunters could not use a scope with any magnification until recently. Then there are areas where you can't use a scope on a handgun or a shotgun. These regulations on weaponry andscope usage vary throughout the country, so make sure you read the regulations and laws before buying a scope of any type. I pride myself on offering our readers money-saving alternatives to buying new. However when it comes to scopes, most avid hunters say it is wise to buy a new scope. Used scopes certainly will have all the needed power and qualities a hunter might need. But as Phil Schweik points out, everyone has different eyesight (as we all know each of our two eyes varies in "power" and acuity), and each firearm has different mounting requirements. Also, the particular needs of any one hunter can and often do vary greatly. So in this situation at least, we urge you to bite the bullet and buy new! Get the scope needed for your physical attributes, for your particular firearm, and the type of hunting you're going to be doing. There are a ton of different manufacturers and scopes out there. The selection can be overwhelming and that's only the major names in the industry. Add in the custom manufacturers and outfitters, and you can drive yourself nuts making a final selection. Let's say you've got a lever action 30/30. The realistic accurate range for the average hunter is about 100 yards. You may want to get a 4 power or a 3 x 9 variable power scope, which will do just fine. The scope itself will run you a hundred bucks or more depending on the brand and features. And remember, that's without any accessories such as mounting equipment, rings, and the like. And yes, you're right­, there are new scopes priced at around $50. However, you'd be hard pressed to get real accuracy with this type of investment, and they don't last. Get something decent. It doesn't have to have all the bells and whistles, but make sure its optics don't make you feel like Mr. Magoo when you sight it. Like any pair of binoculars, the variance of quality in scopes of the same general stated specs can be enormous. Let's say you want to do some long-distance-reach-out-and-touch-someone hunting at 200 to 600 yards, or more with a .30-06, 7mm mag, or maybe a .300 Winchester short mag, and you need something with excellent magnification, great light absorption (the amount of light a scope soaks up and utilizes), clarity, and quality lenses. Be prepared to spend $500 or more. ­ When I say more, it can run into thousands. Do you also want a red dot scope (where a red dot shows up as you sight the scope, pointing to the target), or a laser beam scope? They're all available, and they all can cost big bucks depending on the configuration. Phil Schweik has a .30-06 and uses a 3 x 9 x40 variable scope which ran a bit over $500. Wide range, good optics and glass, excellent clarity, good light absorption, powerful magnification for his needs, which he says goes to around 200 yards max. By the way, Schweik points out that there are many areas where red dot or laser beam scopes are prohibited for a number of reasons. That's why it is so essential you do your homework on the regulations where you're hunting before using a particular scope. And don't "over buy" for your needs. Phil Schweik says he has guided a number of deer hunters with scopes that would be good for sighting an African elephant at a thousand yards. ­ But if a deer suddenly pops up 30 yards in front of you, all you're going to sight through your scope is a blur of tan fur. That is one reason that many hunters use what is called a see through mount. The basic mount for any scope is a flat barrel mount, which simply means the scope is mounted on the barrel itself, depending on the mounting hardware used for your particular rifle. What you see is what you get. If your scope is overpowered for a deer that does pop up 30 yards in front of you, you may be out of luck. That's where the see through mount comes in. The mount is set up higher above the barrel. So that if you do get a sudden pop of a deer 30 yards out in front and your scope is set for 200 yards, you simply look under the scope through the firearm's iron sights, and you're good to go. That's why it's called a see through scope mount. Schweik has used both methods and prefers the barrel mount. He says that hunters disagree about whether it's worth it to have a see through mount. Some swear by it, and others at it. Schweik does say that he has a feel when he does use a see through mount that accuracy can be off just a tad, whether you're using the scope itself or the iron sights below the scope. Remember that when you sight a scope with a see through mount, you may have to make split-second mental adjustments to properly adjust your aim to allow for the difference in trajectory between the see through mount scope and a barrel mounted scope. And our good friend and licensed gunsmith Glenn Moberg of Mosinee, Wisconsin, has a rather more short and descriptive opinion on see-through mounts: "They're junk. They're usually aluminum construction, they don't hold up, and hunters kick themselves after they continually miss their target using them." So, friends, take your pick. My best suggestions: Talk to different hunters who utilize different types of scopes. You'll get plenty of first-hand info (which is the best), as to the pros and cons of each. Then when you're ready, take your rifle into a legitimate-and-recognized retail outfitter, gunsmith, or gun shop. Talk to someone who knows what type of mount you'll need and can suggest what type of scope you'll need for the type of hunting you're going to generally be doing. You're never going to get a scope that will satisfy every need in every situation, but you can come close. And. of course. if you have the funds, the more variable capabilities a scope has, the more situations it can adjust to. And remember, whatever scope you use, deer don't come in blaze orange, so know what you're shooting at! In most cases simple quality, is the most practical advise in a hunting rifle scope. It was the evening of Christmas Day a few years ago. Chief Tommy Sermons and myself were hunting the Ft Polk Wildlife Management area, and I noted the deer were “Yarding.” There were few hunters, it was late season, making it very difficult to find where the deer were. So we drove around the day before and saw one deer cross the road. When you see them that's where they are yarding. The moon was close to full meaning in this part of the country the deer are sticking close to cover and by observation, only moving very late in the evening. I placed my stand where I had seen the big doe about two hundred yards off the road back in the brush. There I found plenty of sign. It got completely dark at 5:35 PM, knowing this I packed my Remington 700 Mountain rifle in 30-06 with the Leupold Vari XII 3x9x40 scope. This is one of those perfect rifle/scope combinations that people should go for when they buy a fine rifle. At 5:20 PM the deer made their appearance, like ghostly shadows in the dim light of the forest. I waited for a perfect shot. Then at 5:30 a big nanny walked into the clear about 35 yards away, as I looked through the scope it looked more like it was 4:30 PM. I dropped her in her tracks with an easy shot. Five minutes later it was pitch dark and a no shoot situation, however the Leupold had brought home the venison with its fine light gathering optics. It was about the same situation, a few years later sitting in a stand with Dr. Woodson Harvey, my personal eye doctor. “I'm going to shoot that deer standing down there at the edge of the trail,” I announced, but only got the “Yeah Right,” from Doc who couldn't see the deer at all. At the shot there was a resounding womp as the 220 grain Power Point struck home. Doc saw that and replied, “You blew that deer up in the air.” No they just jump like that at a heart shot. I must say the glasses Doc made me were great, but it was the Leupold Vari XII in 3x9x50 that really made the difference on that shot. The rifle was my pet Browning X-Bolt in 325 WSM, and the shot was 215 yards. I saw the wild boar the moment I got seated in the climbing tree stand, he was feeding about 50 yards out but my vision was blocked by over hanging trees. Finally I made him out through the greenery, a tiny avenue about 6 inches in diameter. I sent a 165 grain Winchester soft point through it, and made instant pork chops. Was it the rifle? I was shooting a CZ-combination gun with the 30-06 barrel. No it was the Burris 3x9x40 that was so clear I could make out each and every twig and leaf before I made the shot. I learned a long time ago you get no easy shots in Louisiana, so a good scope is the purchase you should combine with the purchase of a good rifle. Trouble is many people I see do two things wrong. The new military guys (sniper wannabes) keep showing up with Tactical rifles tricked out with 20 power scopes, bi-pods, heavy barrels, that weigh about 15 pounds, thinking they are going to shoot white tales at 500 yards. They would probably be better outfitted with a 30-30 lever action with iron sights. The next mistake is most common, buying a fine rifle like a Remington model 700 and attaching a $35 scope on it. I see this all the time at the range and you just can't convince some people. They start having adjustment problems immediately or something else, and its all the gun's fault when they fail in the field. Matching the scope to the rifle is no problem. You can never go wrong with 3x9x40 in a Bushnell, Nikon, Burris, Leupold, Swift, or Simmons remembering they all have the economy to high priced versions of each. Practicality suggests if you buy a high grade hunting rifle you want a high grade scope for it. My newest rifle is a Browning X-Bolt and I matched it with a Leupold VX-II with a Dual X recticle. For my type of hunting I don't need anything else. I wanted illuminated recticles on our H&R single shot Primitive rifles so I put a Swift 3x9 on the 44 “Pink Tiger” and a Simmons Atec on the 45-70 they work just fine. The truth is I've had very little trouble with any of the scopes I've mentioned, but I do have my favorites. That would be Leupold and Burris. Practicality is not economy, I don't like economy scopes as satisfaction and performance is elusive when the price goes down. With telescopic sights you get what you pay for up to a certain point, then it becomes an ego trip. You can take a Leupold or Burris anywhere and be correct, this is the Ford and Chevrolet of rifle scopes, which includes the Lincoln and Cadillac if you must. It has a lot to do with the particular features in the scope for the particular rifle you have. For my Remington and Browning rifles I prefer the dual X type cross hair, which you can get in just about any scope on the market. I'm planning a new heavy deer and hog rifle in 45-70, likely a Marlin Guide gun and plan to match it with a Leupold VX-II, 2x7 power scope with a Leupold dot recticle, exclusive to this company. Contrary to other outdoor writers, I have found the dot extremely fast on close in shooting situations. Notably my Redfield dot scope on the 444 Marlin went to the kid for a graduation present. He is pretty fast with it too. Extreme performance scopes are only needed for the extreme hunter, one point would be the ultra long range Bean Field rifle or the “Best of the West” rifle class. 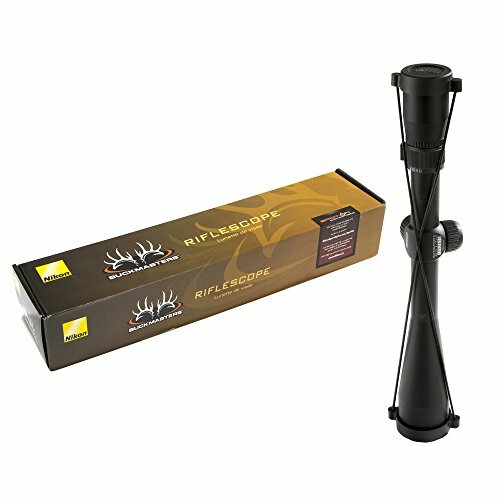 The most practical scope I've seen for this type of hunting is the Huskemaw scope. This kind of shooting requires you to go to school, and learn a completely new kind of shooting technique along with some very high tech accessories, rifle, ammunition all of the custom and expensive kind. Then you too can bag an elk at 800 yards, otherwise get closer. Make sure you really need all the bells and whistles. An illuminated dot or cross-hair makes good sense in low light situations, while a BDC (bullet drop compensator) is great on a muzzle loader, but some times extra lines and tic marks or mill dots just get in the way and confuse the shooter. In most cases a Dual X or Dot is all you need. Now a days, I carry a Bushnell laser range finder, but I find little use for it while gun hunting because I seldom see deer past 200 yards, but it really helps while bow hunting. So you have to study what you are doing and understand the elements of the shot before you buy a gun or a scope. Then match them together, sight in and practice before the hunt. Then you too can ..pass it on.